All-season tires, which people use throughout most of the year, provide longer tread life, better ride quality and fuel economy. They facilitate good traction during summer but not in winter. When the temperature falls below the freezing point, they harden, lose pliability and provide very little traction. Winter or snow tires are designed for safety and control while driving through snow, rain, ice and cold weather. Winter tires have a soft rubber compound that will remain flexible even when the temperature drops. They conform better to the road for improved handling. The tread patterns on winter tires have wider grooves that enhance traction on the snow and ice by providing channels to expel snow and drain moisture. They have deep sipes, or small slits in the tread, to help cut through rain and slush. The sipes help avoid hydroplaning and improve the grip on the road so that the car doesn’t get stuck. Winter tires provide as much as 25 to 50 percent more traction than all-season tires, which is an essential safety margin when there is a need to stop suddenly or turn to avoid other cars on the road. When mounting winter tires, it is important to install a full set of four tires. Some people change just the front tires because they think that the front pair is primarily responsible for maintaining grip and control. 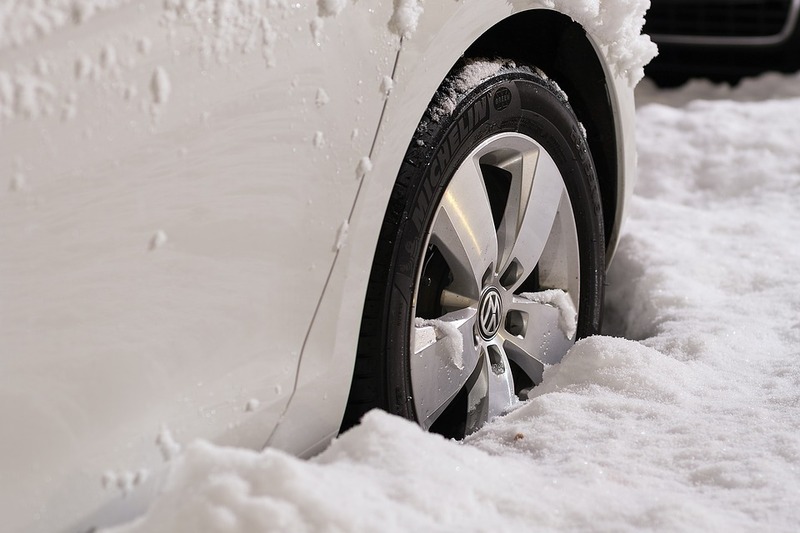 While this may be partially true, replacing only the front tires will increase the possibility that the rear tires will skid when driving on the snow or ice. Installing winter tires only on the back will cause the front tires to lose traction, making it difficult to steer the vehicle. Let the professionals at our Utah tire shop install your winter tires. You can keep your all-season tires and use them again when spring arrives. It is also a good practice to have your car thoroughly inspected at a reputable Utah auto repair center before the weather turns cold. Having the right tires ensure safety and good performance when you are on the road. More especially when it is winter. The cold season is not to be trusted especially when you are travelling. Even though you have an all-season tire, you still need a winter tire specific for this weather. Why? Learn the advantages of winter tires in this infographic. Tire Store Utah > Blog > Why Use Winter Tires?